Three years ( 5 semesters + 1 industrial Training) programme in the Department of MCA. Students are selected for admission to the MCA programme through Rajasthan MCA Admission Test (RMCAAT). 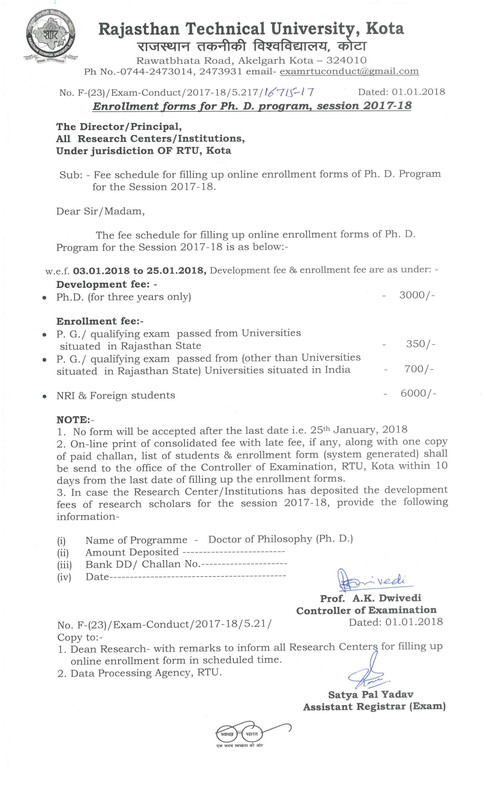 Two years ( 4 semesters ) programme in the Department of MBA. Students are selected for admission to the MBA programme through Rajasthan Management Admission Test (RMAT).